Michael’s Appliance Center sales staff is second to none when it comes to knowledge and experience. The professionals on the Michael’s sales staff are like personal assistants who help you by using their knowledge to guide you every step of the way. They know the products – from brand and style to design and functionality – enabling them to guide you to the ideal choice that suits your desires and your price range. Whatever your financing needs, your delivery requirements, and even the issue of how the appliance fits in your home, the Michael’s sales staff is knowledgeable and committed to making every detail work for you – even gas conversions and door swing changes. - Secure application process and quick credit decisions. - Special financing options that offer no annual fees*, convenient monthly payments and no prepayment penalties*. 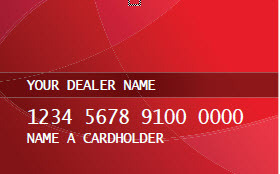 - No interest if paid in full within 6 or 12 months with regular monthly payments. *The Nationwide Marketing Group credit card is issued by Wells Fargo Bank, N.A.. Special terms apply to qualifying purchases charged with approved credit at participating merchants. Minimum monthly payments are required during the promotional (special terms) period. Interest will be charged to your account from the purchase date at the APR for Purchases if the purchase balance is not paid in full within the promotional (special terms) period. Paying only the minimum monthly payment will not pay off the purchase balance before the end of the promotional period. For new accounts, the APR for Purchases is 28.99%. If you are charged interest in any billing cycle, the minimum interest charge will be $1.00. This information is accurate as of 10/01/2018 and is subject to change. For current information, call us at 1-800-431-5921. Need help? Want more information? Click HERE for easy ways to contact us. "Michael's is a fabulous appliance resource. We are impressed with the quality and integrity of their business." 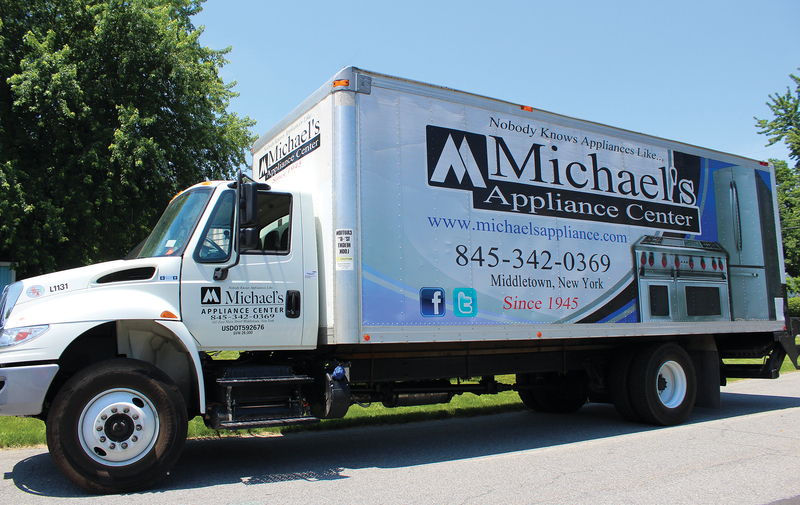 Michael’s Appliance Center has its own delivery staff, allowing us to work with you on difficult or time-sensitive deliveries. When you make a purchase with Michael's, our knowledgeable sales staff will make sure every detail of your delivery is covered; from gas conversions and door swing changes to delivery dates and times. Michael's Appliance Center Sales and delivery staff work hard to cover any issues that may arise and make your entire shopping experience with us positive and enjoyable. Our delivery crew will do everything possible to get your appliance correctly placed in your home and will be happy to remove packing and shipping materials for disposal at our store. In order to control costs, our delivery truck goes in one specific direction (north, south, east, and west) on a given day of the week. Deliveries are added to the schedule according to direction up to 24 hours prior or until that given day is fully booked, whichever comes first. When will your appliance arrive? Michael’s Appliance Center delivers during normal business hours. We route the deliveries in the best way possible for the drivers to make them all in a reasonable amount of time. You will be contacted between 3:00 and 5:00 p.m. the day prior to your requested date to inform you of your projected 3-hour delivery window. A responsible adult, authorized to make decisions, must be present for delivery. If you are unavailable during the given 3-hour window, we will reschedule your delivery on the next available delivery date. If you miss your delivery and fail to notify us, you will incur charges for redelivery. • Remove their shoes, though caution and care will be exercised to protect your home and merchandise. • Lift/hoist merchandise over banisters, or other obstructions, or through windows. • Use customer–supplied or used connectors. • Reconnect relocated appliances to home utilities. • Relocate used appliances to a different address. • Perform carpentry, electrical or plumbing work. • Install appliance trim kits. 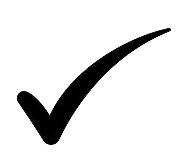 The following is a delivery checklist for you to complete before we deliver your appliances; this checklist will help to avoid many of the common issues encountered during delivery. Clear Pathways. Ensure a clear path from the driveway to where your appliance will go inside your home. In inclement weather, please clear away all ice, snow or debris from the street to the appropriate entrance. In your home, this includes moving furniture, throw rugs and any other items that may impede delivery. Protect your flooring from damage. We recommend heavy cardboard at a minimum, for softer flooring (bamboo, pine, etc.) use something stronger such as plywood. The delivery team will not have these items on the truck, and unprotected flooring damaged during delivery will not be considered for reimbursement. Confine all house pets to a separate area from the delivery path. Measure! Ensure that your doorways, hallways, and ceilings are clear and large enough to fit the new appliance. If your stairway is angled, and the appliance is coming upstairs, make sure that there’s enough room for the appliance to fit around it. Michael’s will not remove or install railings, doors or door jambs. This is solely the responsibility of the homeowner. Check your connections. Michael’s Appliance Center will not disconnect or connect any appliance that is hard-wired (no power cord/receptacle). The homeowner will need the services of a qualified electrician. Building codes specify that gas supply lines must have a shutoff valve securely mounted in the same room as the appliance it controls. This valve must be no further than 6 feet from the appliance. The gas connector (the line between the Appliance and the shutoff) must never pass through a floor or wall before connecting to the valve. Michael’s Appliance Center will not make connections to any gas service that does not have a proper shutoff valve already in place, nor will we connect any gas appliance using copper pipe as the connector. We will not attempt, under any circumstance to turn off/on spring-loaded gas valves due to the possibility of leaks at the valve. Nor will we connect to any copper water lines or shut off corroded water valves. In this case, the homeowner will need the services of a qualified plumber. Empty out your old appliance. All Appliances must be emptied and disconnected prior to removal. For any questions, changes, or issues regarding your appliance delivery, please give us a call.